In this class we will be taking a deep dive into some of the more advanced CSS Selector types available for you to use in your web projects. We will be working from a pre made accordion style menu to explore how these selectors can be used to achieve different effects. While this class is suitable for beginner to intermediate level developers, if you have never with HTML or CSS before, I would encourage you to take my 'HTML + CSS - HOW TO BUILD A WEBSITE' class as a preface to this one, as it covers the fundamentals of HTML and CSS and will give you a great foundation upon which you can build your skills. By the end of this class you should feel confident to experiment with different types of selectors to achieve more advanced features and code quality on your website. The project for this class is to download the course files ('class-project. zip', under 'attached files') and apply your own styles and effects to the accordion. 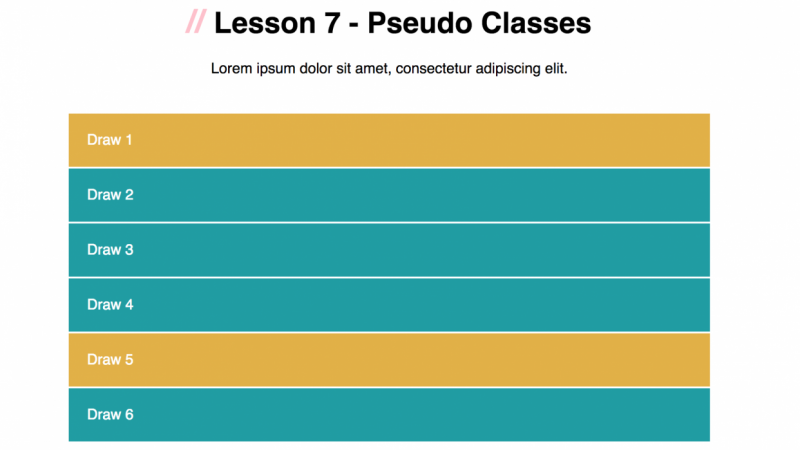 Your challenge is to find a way to use every selector covered in this course at least once while styling your accordion. I am a Front End Developer by trade, and serial generalist by nature. I love to learn a little bit about a lot, and in doing so, I have found my way from being an arts student in high school and a business student in university, to being a self taught Front End Web Developer today. Go figure.